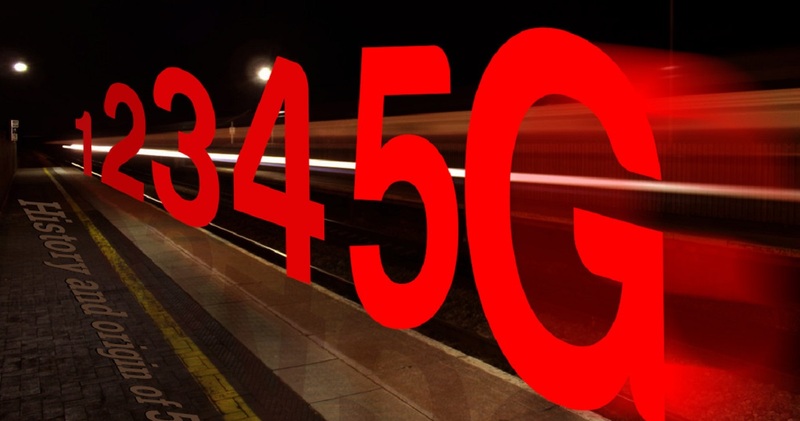 5G is the new phrase you’ll be hearing more and more, but just as people figured out what 4G was, the next generation is already knocking at the tech front door. Like 4G, 5G is to change everyone’s life again, and with smart homes becoming more mainstream, this will play a huge part in that. The mobile industry is cranking up its hype machine for sleek new “5G” networks that it says will make your phone and everything else faster and wonderful. If you believe the marketing. How Will 5G Change Your Life? But no one can really say how 5G will change your life; many of the apps and services that will exploit its speed haven’t been created yet. Look back at the last big wireless upgrade, though, and you can get a sense of how profound that change might be. Apple launched the iPhone in 2007, and it quickly become obvious that the era’s 3G wireless networks couldn’t handle millions of people uploading photos of their kid’s playdate to Facebook or obsessing over “Words with Friends.” Not to mention managing their finances, health care and shopping for everything from shoes to homes. 4G speeds, the ones we’re used to today, made possible many of the things we now take for granted on our phones — Instagram, cloud storage, Netflix streaming. Or, for instance, that ride you got home from the bar. Without 4G, there would be no Uber or Lyft, which need connections fast and strong enough to call a driver on a moment’s notice, show customers where their driver is and give the companies the ability to track drivers in real-time. That’s not something 3G could handle. Today, about 80 percent of U.S. adults have a smartphone , according to Pew Research Center, while industry group GSMA says 60 percent of the world’s 5 billion cellphones users do, too. Mobile video, including ones created by ordinary people, makes up 60 percent of all data traffic globally, according to telecom-equipment maker Ericsson. While 4G brought on a communications revolution and spawned startups now worth billions, even it wasn’t all it was hyped up to be. Not quite yet. Smart homes are not mainstream, and wireless business processes are a lot of what’s exciting the wireless industry about 5G. Hays remembers talking about the possibilities 4G would create for virtual and augmented reality. Those, of course, have yet to materialize. Just wait ’til next G.
Chinese tech giant Huawei’s deputy chairman defended its commitment to security Friday after a stinging British government report added to Western pressure on the company by accusing it of failing to repair dangerous flaws in its telecom technology. Guo Ping’s comments came as Huawei Technologies Ltd., the biggest global maker of network equipment for phone and internet companies, announced last year’s sales surpassed $100 billion despite U.S. pressure on American allies to shun it as a security threat. Accusations that Huawei, China’s first global tech brand, might facilitate Beijing’s spying threaten to hamper its access to global carriers that are preparing to invest billions of dollars in next-generation technology. Britain’s National Cyber Security Center added criticism Thursday on a different front, accusing Huawei of “poor software engineering.” The agency said in a report British researchers saw no sign that was due to Chinese government interference, but it said Huawei had not repaired flaws that might make its systems vulnerable to cyberattacks. Guo didn’t respond directly to the British report’s criticisms but said Huawei will work with regulators to improve security. He noted the company has promised to invest $2 billion over five years to improve its software engineering and expressed confidence British regulators will “increase their confidence” in Huawei over time. “We prioritize cybersecurity and privacy protection even above our commercial targets,” Guo said at a news conference. He said the British report showed Huawei products had no “backdoors” to permit eavesdropping. Huawei is, along with Sweden’s LM Ericsson and Nokia Corp. of Finland, a global leader in developing fifth-generation, or 5G, telecoms. The technology is intended to vastly expand mobile networks to support self-driving cars, medical devices and factory equipment, but that makes it more politically sensitive. Huawei is at the center of U.S.-Chinese tensions over technology and accusations of cyber-spying and violating trade sanctions on Iran. The company’s chief financial officer was arrested in December in Canada on U.S. charges of lying to banks about dealings with Iran. Beijing has detained two Canadians and blocked imports of canola from Canada in what is widely seen as an attempt to compel her release. Huawei’s U.S. market evaporated after a 2012 congressional report labeled the company a security threat, but sales elsewhere grew rapidly. Huawei passed Apple last year as the No. 2 global smartphone brand behind Samsung and earlier passed Ericsson as the No. 1 network gear seller. Australia, Japan and Taiwan have imposed curbs on use of Huawei technology, but Germany, France and other governments are balking at U.S. demands to exclude it from 5G networks. Carriers complain that would reduce competition, raise prices and delay the rollout of 5G service. Huawei has opened testing centers in Britain, Germany and Belgium for regulators to examine its products. Chinese officials and some industry analysts have suggested the Trump administration might be exaggerating security concerns to hinder a competitor to U.S. tech brands. Earlier this month, Premier Li Keqiang promised at a nationally televised news conference that Beijing never would tell Chinese tech companies to spy on foreign countries. Despite that, Huawei’s sales last year rose 19.5 percent over 2017 to 721.2 billion ($105.2 billion), according to Guo. That was driven by double-digit gains for its consumer and enterprise units, while sales of network gear to phone and internet carriers were unchanged at 294 billion yuan ($62.3 billion). Profit rose 25.1 percent to 59.3 billion yuan ($8.6 billion). Guo blamed weak network gear sales on a temporary lull in investment by carriers. He expressed confidence 5G sales will take off this year. Huawei denies U.S. accusations it is controlled by China’s ruling Communist Party and says it is owned by about half the members of its 180,000-strong workforce. The company has no publicly traded shares but started issuing annual financial reports a decade ago in an attempt to appear more open and mollify Western security concerns. Guo said global sales for the first two months of 2019 rose by more than 30 percent from a year earlier. Ren, the company founder, said earlier this year’s revenue target is $125 billion. 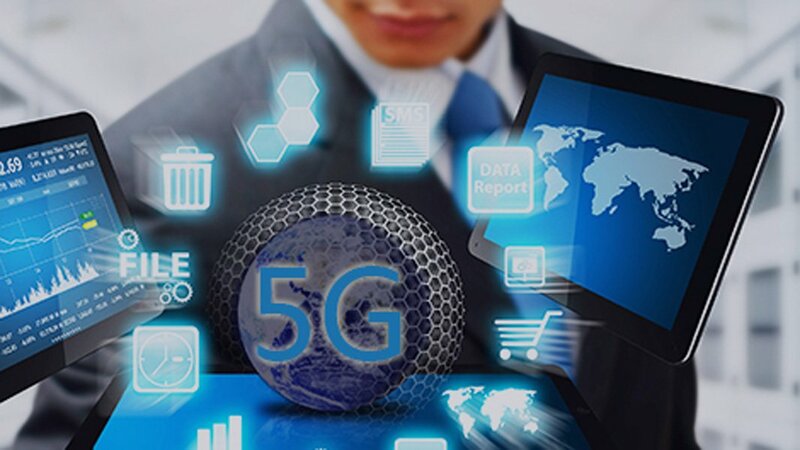 Huawei has announced sales of 5G networks to a handful of carriers and contracts with major carriers in Germany and other countries for field testing. The company says it already has shipped more than 40,000 5G base stations to customers. Huawei is asking a U.S. federal court in a lawsuit filed this month to throw out a law that bars the Trump administration and government contractors from using its equipment. The company says that improperly punishes the company without giving it away to defend itself. The company’s chief legal officer, Song Liuping, said he had no updates on the lawsuit. “We believe the U.S. court will give us a fair judgment,” said Song at the news conference with Guo. Jeffrey Lang has joined Movie TV Tech Geeks for 2015 and will be providing his opinion on technology from across the pond in London. Along with having many opinions on tech, gadgets, games, etc., he enjoys watching the Thames from our satellite office there.